Ornithogalum range from 10 cm to 60 cm in height and are grown as half hardy or hardy bulbs in the garden. Ornithogalum plants flower in the spring or summer (species dependent) with star shaped white, orange or pale green flowers atop leafless stems. 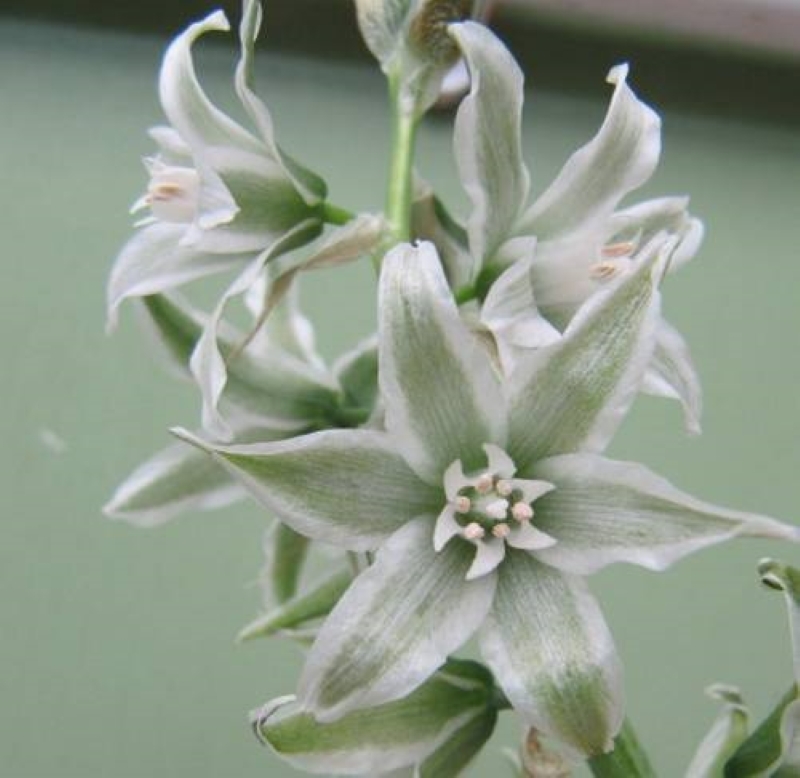 Some common names for Ornithogalum include Star of Bethlehem flower, Sun Star, Grass Lily, Eleven-o'clock Lady, and Chincherinchee. Ornithogalum umbellatum (Star of Bethlehem plant) photograph by thatredhead4. Ornithogalum dubium (Orange Star/Sun star) picture by Zed66. Ornithogalum nutans photograph by Wallygrom. Ornithogalum thyrsoides (Chinkerinchee) by Abelard. When people think of Ornithogalum bethlehem they are usually looking for O. umbellatum or O. arabicum: O. bethlehem is not currently listed as a species. Common Names: Star-of-Bethlehem, Chincherinchee, Snake Flower, Prussian Asparagus. Height: 4 to 24 inches (10—60 cm). 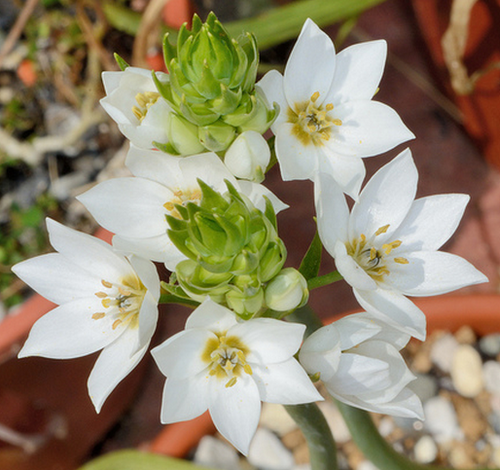 Native: There are three distinct classes of Ornithogalum based on the location from where they derive: tender species from (1) Southern Africa and (2) Tropical Africa; and hardy species from the Mediterranean and Caucasus regions. Growing Region: Zones 5 to 10. Flowers: Species dependent: Plants derived from regions (1) and (3) bloom in spring, whilst those from region (3) bloom in late spring and early summer. Flower Details: White. Star-shaped. Atop leafless stems. 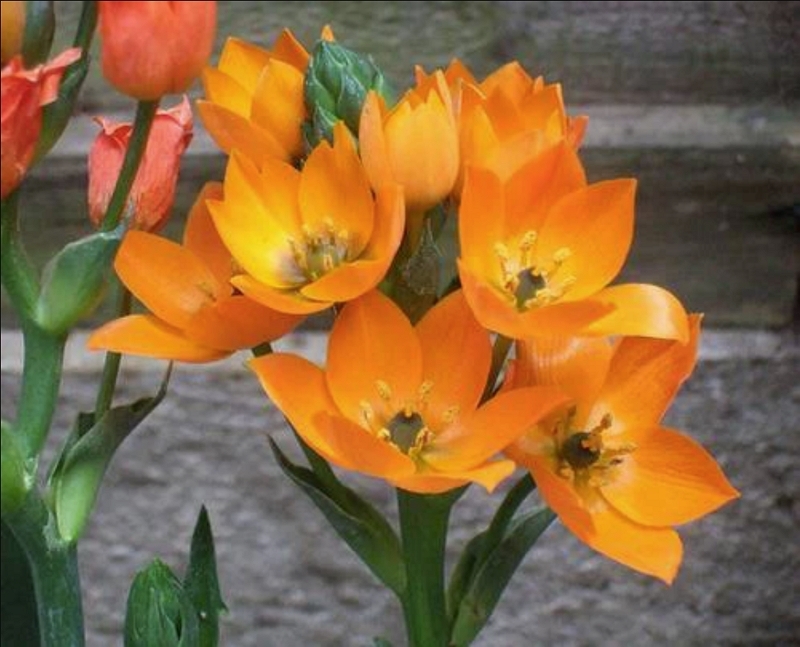 Planting: Usually grown from Ornithogalum bulbs as seed grown plants will not bear flowers for at least four years. Bulbs: 3 to 6 inches (7.5—15 cm); bury deepest in cooler regions. Autumn for region (1) and (2) tender bulbs, in the late spring for hardy group (3) plants. Space at 4 to 6 inches (10—15 cm). Seeds: Cover seed. Germination time: one to six months. Method 1: Seeds should first be sown into flats in the autumn. Sink the flat into the ground in an area that offers shade, preferably close to a wall that faces north. Provide a glass/plastic covering. Keep an eye on the flats to ensure that the soil remains moist. Bring the flats indoor at the beginning of spring and keep at 60°F (16°C). Method 2: In the spring, mix seeds in a moist growing medium, then put in flats, wrap in a large plastic bag, then stratify by refrigeration for three weeks. Next bury the flat as described above. Once seedlings emerge transplant them to their final location. Requirements and care: Full sunlight through to full shade. Good drainage. Rich soil. In the early spring supply a top dressing of manure. Provide frequent feeds with weak fertilizer. Divide frequently to maintain vigor. Deadhead before seed-set to prevent spreading. Propagate: by taking offcuts cuttings in the autumn. Can self-seed successfully. Miscellaneous: Ornithogalum umbellatum is invasive in some areas. The hardy species tend to be smaller and have larger flowers, making them great container plants. 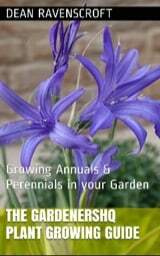 It is easiest to grow the Star of Bethlehem plant, Sun Star and other Ornithogalum from bulbs; these should be planted at from 7 to 15 cm deep in the spring (for summer flowering) or Autumn (for spring flowering). 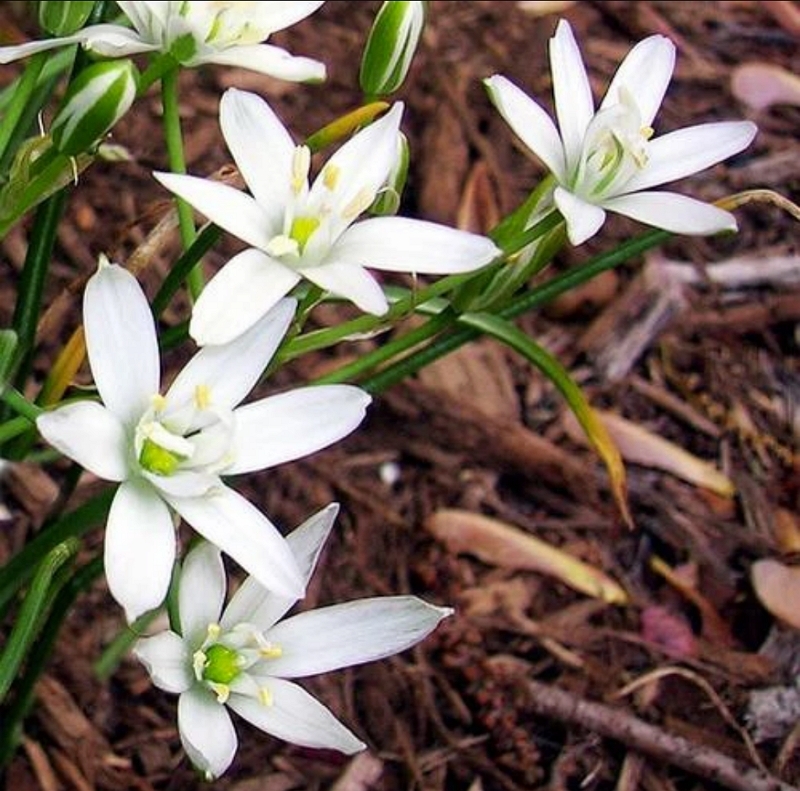 The Star of Bethlehem should be planted at about 10 to 15 cm apart into a rich soil. Ornithogalum species are able to grow in both sunny and shady areas of the garden, but they do require good drainage. If growing Ornithogalum from seeds then it is best to sow the seeds in flats in the spring (lightly cover the seeds). The flat should then be covered with a plastic bag, and placed in the fridge for about three weeks. The flat should then be sunk into the ground in a shady part of the garden and allowed to germinate, Ornithogalum can take anything from one to six months to germinate. Once young seedlings appear transplant them to their final location. It should take about four years until Ornithogalum grown from seed will first bloom, but the pleasure from growing from seeds is well worth the wait. It is fairly easy to look after Star of Bethlehem (Ornithogalum bethlehem) and Chinkerinchee (Ornithogalum thyrsoides) and similar species; they should be fertilized in April by mixing manure into the soil; they will also require a light fertilising until the end of the summer. Once established Ornithogalum may encroach, so weed as appropriate.